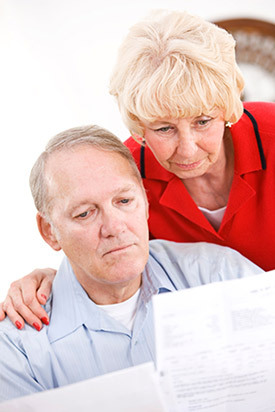 “Elder Law” is a recently recognized area of the law dealing specifically with the legal issues facing people of retirement age and beyond. While general planning issues face everyone, from young to elder individuals, there are very distinct legal issues that affect elder individuals more so than those in younger generations. Once in retirement, an individual’s or couple’s needs change and the exposure to risks that drain away family assets increases. Typically a retired person’s tolerance for risk in the market place is less and he or she place a much larger emphasis on security. At Brooks	& Brooks, we understand the needs of people in this group and have developed planning techniques to assist our clients in reaching the comfort level of security, whether it be potential personal liability issues or protecting against the devastating effect of long-term nursing home care. The attorneys at Brooks & Brooks take Elder Law issues seriously and consequently, are members of the Elder Law Section of New York State Bar Association. Both lecture on Elder Law issues extensively and Kameron Brooks has participated as a panelist at State Bar Association seminars for lawyers on Elder Law topics. When it comes to the risks we face in the retirement years, it is never too early to plan against the danger of losing what we have worked our whole lives for. It is a big decision and also a change in life style when one retires. It is at that point in a person’s life when serious consideration should be given to proactive planning against the risk of loss caused by estate taxes, personal liability issues and long term nursing care.